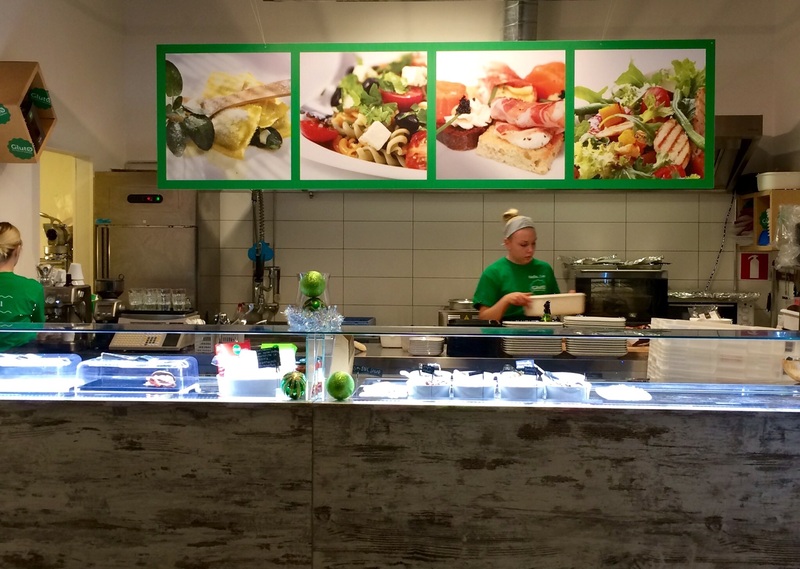 Gluto Street Food was opened in Kamppi Shopping Centre in August 2014. Street Food bar prepares gluten-free fresh pasta to be eaten at small dining area or as take-away. The range includes gluten-free pasta of the day with changing sauce options like bolognese and basil. “Restaurant” also offers gluten-free and milk-free stuffed sandwiches and focaccias. 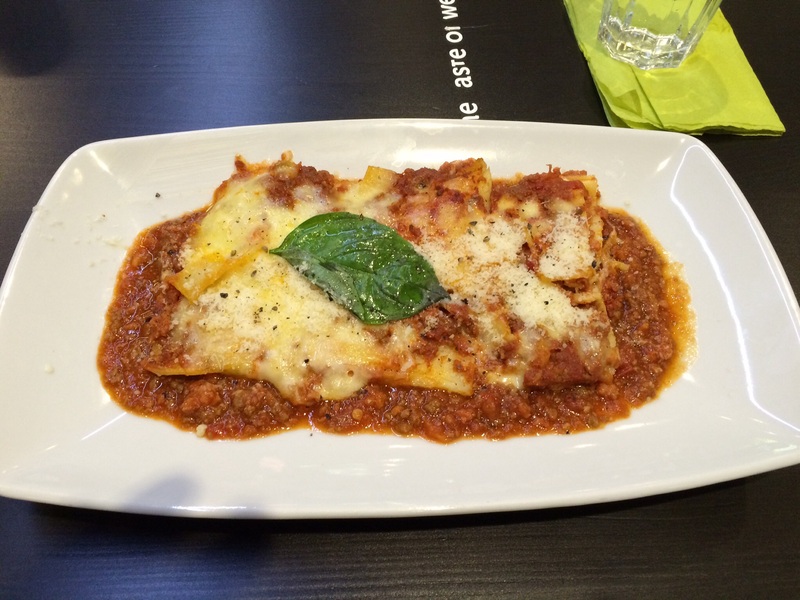 We decided to try pastas of the day which were Lasagne Bolognese and Vegetarian pasta. Portions were quite small, which might be the case, if you choose pasta of the day. Lasagne was delicious and could have eaten double portion. There was lot’s of smelted cheese on pasta which added some flavour to dish. Vegetarian pasta included olives, zucchini and tomato. Would have preferred some more vegetables, because of the name of the pasta. However, nice portion and what is most important, gluten-free. 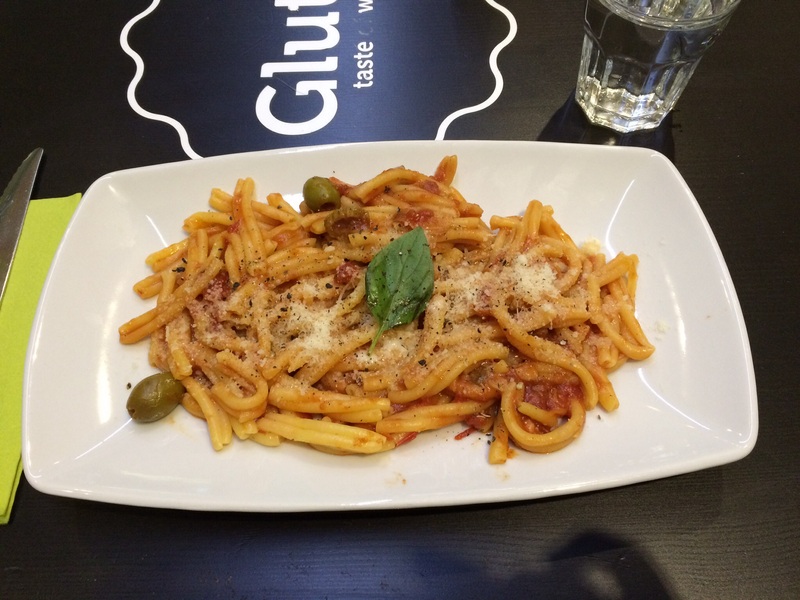 Gluto is perfect place for people, who like pasta, but can not eat wheat. Location is perfect, which means that tables are occupied almost all the time. With a little bit larger portions and more spiced portions, grade for food would be over 4. As you order dishes from the counter, service is not reviewed. 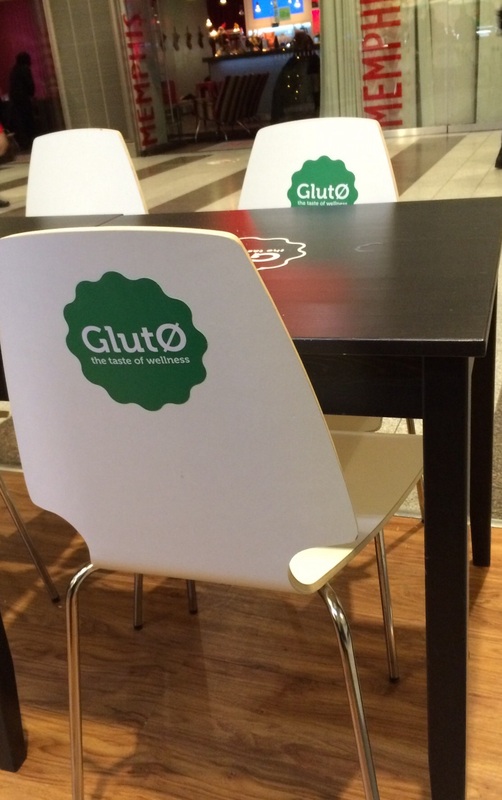 Because there is demand for gluten-free dining spot, overall grade is over 4.